I have SO many captures that need to be thinned (I really must stop this photo hoarding! ), named, keyworded (yeah, yeah yeah spell check, I know), filed and…processed that I often can’t decide just what I should post. I am most grateful to the great folks at WordPress for hosting workshops and photo challenges; they give me direction, focus, and a reason to get around to looking at old captures. I doubt there’s anyone in America that won’t recognize this fellow but the standard photo taken of Mt. Rushmore usually includes George and his three buddies. A travel tip for those of you visiting the area: entrance is free to everyone but there is a parking fee ($11 in 2014) which is good for the entire year. This is handy for those of us who live in the area and take different groups of visitors. The National Park passes do not cover this parking fee. There is a lot of wonderful information at the visitor’s center so you may find it well worth paying this fee but…don’t think you HAVE to in order to see Mt. Rushmore…there are numerous views of the monument from many roads in the area, which is where this shot was taken. This monument/landmark, might not be so familiar to many of you. 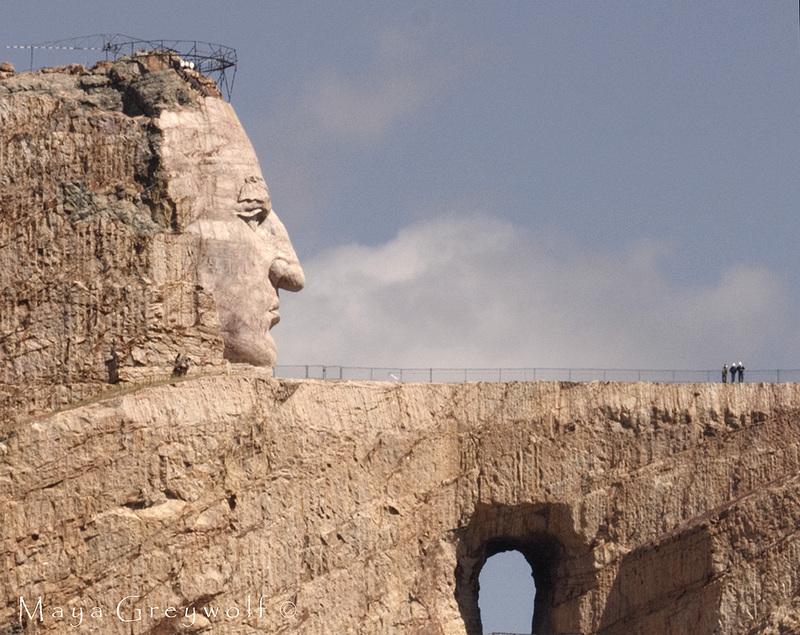 It is the Crazy Horse Memorial which is also in the Black Hills of South Dakota. This is a work in-progress which began in the 1940’s by sculptor Korczak Ziolkowski and is now carried on by his family. This is NOT a national monument, it is not funded by the government but relies on admission fees and donations for funding of the project. Please visit the Crazy Horse Memorial Website for more information. Wow! A great entry for the landmark. The first one is a fantastic capture, Maya! Stunning colors in the first photo! Do you use a photo editor or anything to get such clear crisp images? We’ve visited both of these places and your photos really bring alive their memory for me. Your photography skills are amazing!! Thank you for such a kind comment Kirsten! Thanks for sharing the information about Crazy Horse monument. I will add it to my bucket list. Great photos. Thank you Max 🙂 I highly recommend Crazy Horse and the (rather pricey) entrance fee because the visitor’s center can keep you busy for HOURS! FYI, the fee for Crazy Horse is by car, not person. These are stunning, Maya and the people in the 2nd image really give scale to that beautiful monument. More places to add to my bucket list too! 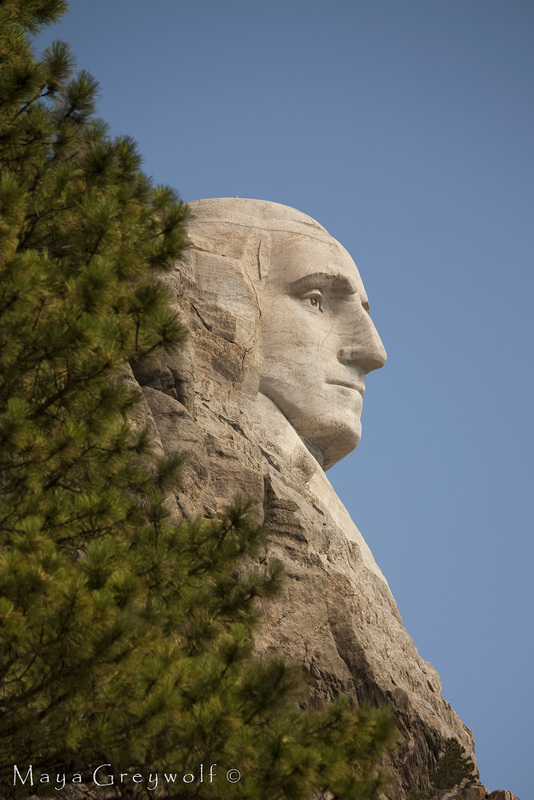 I’ve never made it to the Crazy Horse monument, but did make it to Rushmore years ago.